Getting the right prom dress is crucial. You want to look amazing and be able to dance all night. But where should you start? Before you spend weeks combing all the prom dress shops San Francisco, take a look at these tips to find your perfect prom gown. Nothing is worse than getting the last gown left on the rack. You want to be able to choose from all the colors, sizes, and designs on offer, so be sure to get started early. This will also leave you some time in case you need to have your dress hemmed or altered in other ways to make sure it’s just right for prom night. When you’re going to try on dresses, you want to make sure you have a few things on hand. First, bring along heels in the same height you plan to wear for prom. That will help you know if a gown needs to be shortened, or if it’s going to look too short on you. Also wear a strapless bra, since many formal dresses have halter or strapless neckline that will leave your bra straps exposed. You can always opt for a halter-bra for prom night itself, but wearing a strapless as your trial bra will help you get the full picture. Put your hair up, and wear a bit of makeup so you can really envision your final look. Last, but most importantly, bring along someone whose judgement you really trust. Whether it’s a family member or good friend, you want to have someone there to tell you the truth if a gown just doesn’t suit you. It doesn’t matter how much you love a dress if the prom chaperones will ask you to leave for dress code violations. Make sure you know exactly what’s not allowed so you can spend the night dancing and having fun, not worrying about your dress. If you just can’t turn down a dress that pushes the envelope a little, minor alterations, such as adding modesty panels for plunging backs and necklines, can help you stay within the rules, but remember that alterations will add to the cost of your dress and will take additional time, so plan accordingly. Nothing sets you up for more heartbreak than trying on dresses way outside your budget. Don’t do it! Know your budget, and let the consultants at the shops you visit know too. 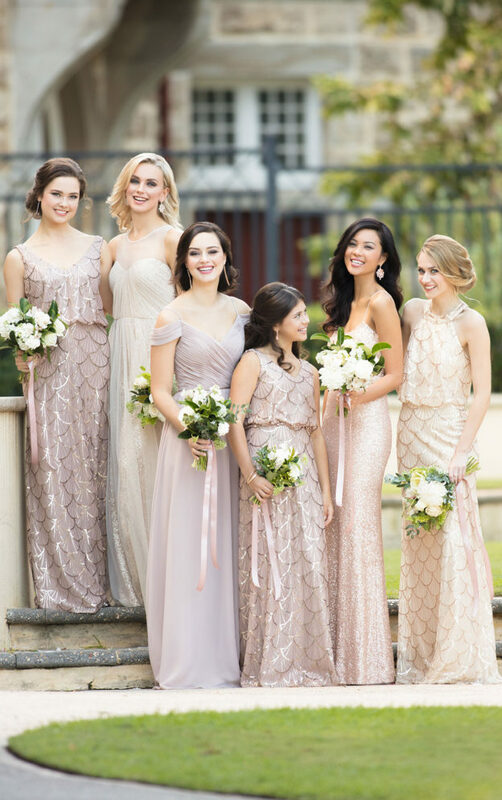 They’re used to working with all kinds of budgets and can help you find just the right gown. Keep in mind that if you decide on a dress that will need alterations, you’ll need to factor those into your budget as well. Ready to take the plunge and find that perfect prom gown? Start at Flares Bridal and Formal, one of the premier prom dress shops San Francisco. From the perfect dress to the accessories to match, you’ll find exactly what you need to make prom a night to remember.